One Park Place is an amenity-rich, luxury condo tower with 108, two- and three-bedroom units. The building offers abundant amenities and concierge service with a 24-hour doorman, fitness center, shared event and entertaining space, wine cellar, two pools, and more. 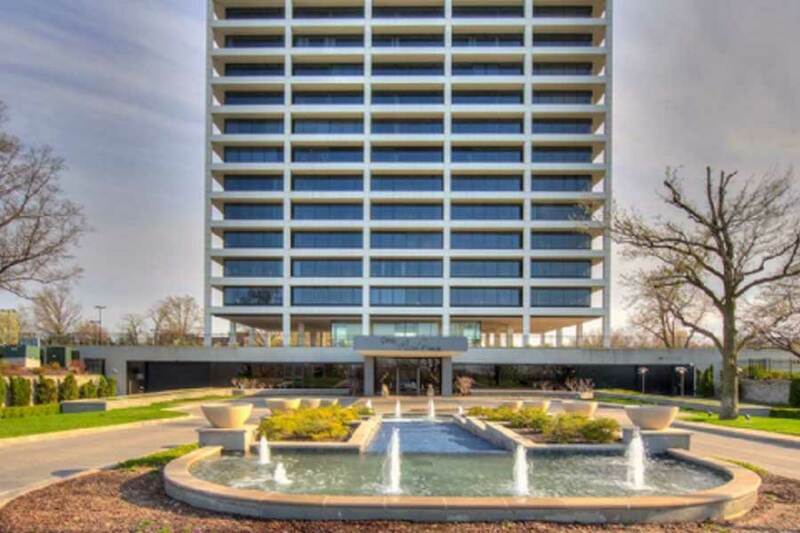 Built on one of the highest points of land in Kansas City, the building has commanding views of downtown Kansas City and looking south toward the Country Club Plaza. The 19-story tower was originally built for the Business Men’s Assurance Company of America, an insurance company, in 1963. The building was sold in 2002 and was extensively renovated into luxury residential condos which opened in 2007. It is managed by Copaken Brooks.